Stillwater Real Estate. Let us help you now, Call us at 612-508-4100. Buy Stillwater Real Estate and How do I Sell Stillwater Real Estate ? As the Stillwater Real Estate boom continued through the early 2000's, money became more and more available to less and less qualified buyers. No meaningful oversite was given to the appraisal process, and home values were artificially inflated by increased demand from newly qualifed first time home buyers, second home and vacation home buyers, and investors. New risky loan policies were given the green light by a Congress that wanted to increase home ownership to historic levels. Housing was talked about as a right by some legislators, touted as a way to reduce crime by others, and ignored by the rest. With an unsubstainable increase in prices for Stillwater Real Estate during the first six years of the 2000's, tied with the collaspe of subprime mortgages and low teaser rates in the spring of 2007, the real estate market imploded on itself. The result is either a disaster or huge opportunity for buyers and sellers of Stillwater Real Estate! I know this seems impossible that both buyers and sellers could have an opportunity, but let me explain. If you are a seller of Stillwater Real Estate then you are going to take a beating when you sell your home. Luckily, most sellers are upsizing or moving sideways. If you are upsizing and buying more expensive Stillwater Real Estate then you will be in great shape. If you are selling a 200,000 dollar Stillwater home, you have lost 25-35% of its value. This means you have lost $50,000 to $70,000 in this example. If you are moving up to Stillwater Real Estate worth $400,000, they have lost the same 25%-35% in value, which means you are buying for $100,000 to $140,000 less, therefore you've made $50,000 to $70,000. They are upsizing to $800,000 so they will recoup their loss and make up to $140,000 once they buy a bigger home, etc. If you are moving sideways, the money you lose on your sale will be saved on your Stillwater Real Estate purchase. The 25%-35% that you lost on your sale will be made up when you buy your next home that is selling for 25%-35% less. If you are buying your first home, then you have won the lottery in Stillwater Real Estate and may not know it. You will be buying at a 25% to 35% discount with rates that are the lowest in history. You also have had the federal government giving you $8,000 dollars as a buyer who has not owned a home in three years or $6500 if you are buying and have owned your home for five of the last eight years. Feel free to use the free home valuation tool above. It is a free tool for Stillwater buyers and Stillwater Real Estate sellers. No Stillwater Blog or Stillwater Real Estate Information would be complete without Stillwater Short Sale Real Estate information so I have included that below. Stillwater Real Estate and Stillwater Home prices have continued to flow up and down in most of Minnesota and Stillwater is no difference. Stillwater homes and Stillwater Real Estate continue to be sought after as of now. Homes in Stillwater under 200,000 are seeing full price offers and in many cases multiple offers. Buyers of Stillwater Real Estate need to be fully pre-approved, as well as working with a top Stillwater Realtor. Short Sales and foreclosures are not as common in Stillwater as other surrounding cities but the ability for buyers to buy so much home for so little money in surrounding cities has put a strong downward pressure on Stillwater Real Estate and Stillwater Homes. Foreclosures and bank mediated properties account for upto 30% of the real estate market at any one time. Experts believe that Stillwater Homes and Stillwater Real Estate may still see a collapse in the higher end markets if we do not start to see some movement but opinions vary as to when and how bad this collapse might be. This type of home does not account for a high percentage of the Homes and Real Estate in Stillwater so it should not hurt as bad as other cities. This is one bright spot for owners of Stillwater Real Estate . The consensus is that if you are selling a home in Stillwater or any Stillwater Real Estate that you need to be exact in your pricing, marketing and value. Find a Realtor with experience, a successful track record and one that works nights, weekends, days, etc. This is the time for agents to show how committed they are to the Stillwater homeowner and to Real Estate in general. Search every listing of every home for sale in Stillwater Search Stillwater MLS Listings . Joe Niece and his team of Stillwater Real Estate Agents welcome you to JoeNiece.com. We specialize in the Stillwater Real Estate market. Stillwater Minnesota Short Sale Help and Information The Results of Experience E-mail us with all of your real estate needs! In the current market, your Stillwater Real Estate and Short Sales Agent needs to work harder, market your home better, network your home more effectively and present your Stillwater home via every advertising media possible. 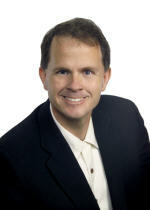 Your Stillwater agent must know everything about the Stillwater Real Estate and Short Sales market. Joe and his team of Stillwater realtors will strive to answer the phone live between the hours of 7am and 9pm everyday, A live person that knows you and your home will be working to help you, other agents and all potential buyer's get the information they need to know about your Stillwater home. This will guarantee no matter if you buy or sell your home, condo or loft in Stillwater Minnesota that it is as painless as possible. Before you start any property search you should get pre-approved for a Stillwater Mortgage . Stillwater Real Estate and Short Sales, search every lake in Minnesota and find the Lake House, Lake Property, Lake Cabin, Lots, Land and more at Stillwater Lake Property. Whether you are looking for Homes, Stillwater Condos for Sale or Lofts in Stillwater JoeNiece.com Real Estate and Short Sales is the best place to find that home of your dreams. Search the Stillwater Listing Search to find that perfect Stillwater Condo, Loft or Stillwater Luxury Home. A new search that alot of people have been looking into is properties up for auction. Here are all the Minnesota Real Estate and Short Sales Auction properties.